With more and more screen resolutions it is important to support a responsive design for your site. That means whether you are on a iPhone, or iPhone Plus, or iPad, or a 27” iMac the presentation of your site will look and feel like the site was designed for that specific device. It is a challenge for the design community and a challenge they are living up to as responsive design becomes more and more creative. The industry is listening to the users. Your web visitors have new expectations; they want to be able to easily view your site, no matter the device they are using. Users are tired of pinching and zooming on their mobile devices trying to view traditional desktop sites on tiny screens. I know my fingers were getting tired of trying to read/zoom/scroll an article in 10 point font. To aid users in this respect, Google is now offering up a new icon next to search results to indicate whether a site is mobile friendly or not. Touché Google. I guess that’s the kind of push late adopters needed. So what’s next for the website development and design community? Continuing to bring smart design approaches to the table to handle more and more screen resolutions. After that, making responsive sites look great on an 80” television. 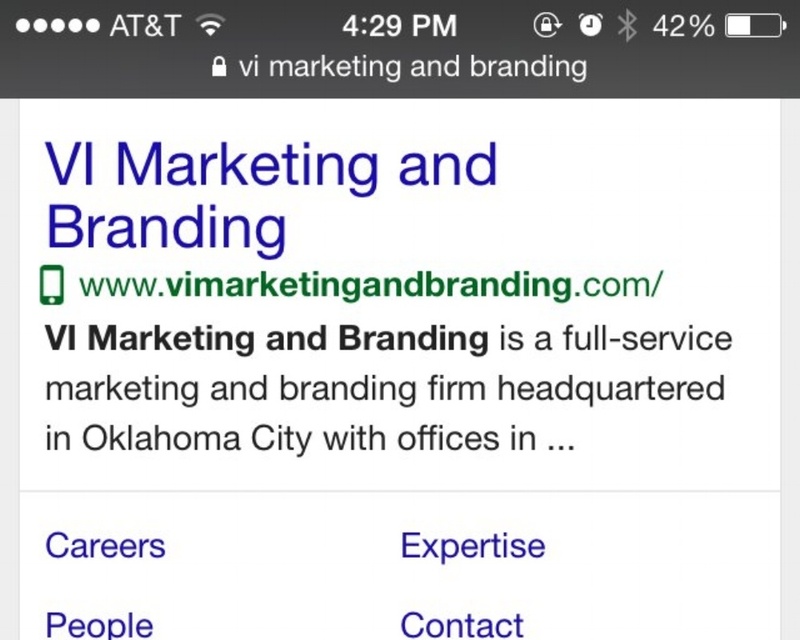 If you’ve yet to adopt a responsive design, and you’d like to learn more about moving your website in that direction, reach out to VI. We're into that kind of thing.